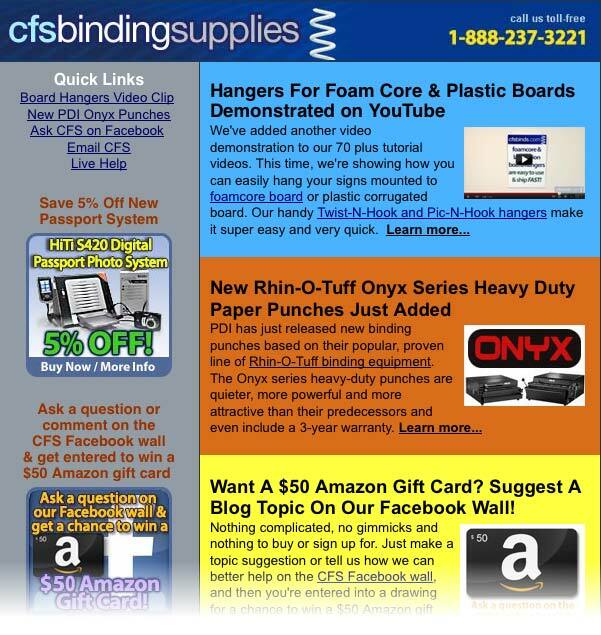 We don’t just use Post-It notes at CFS Binding Supplies, we live by them! They are an essential tool to our system for keeping multiple projects on track (one could also call it juggling projects and trying to keep them all from falling). 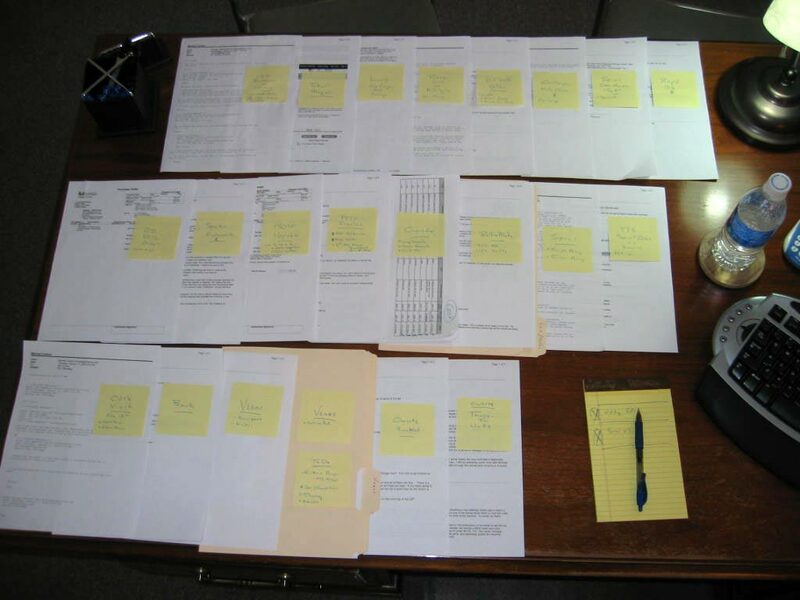 The photo to the right is an actual photo of one of our desks. 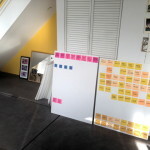 Similar to the project management system developed at Toyota years ago, someone has come up with a way to apply Post-It notes to foam core boards to manage several ongoing projects. But it doesn’t just stop there, it crosses over into the digital world, more accurately, into the cloud using Evernote. It’s one of my favorite apps on my phone and I use it almost daily. The original article goes into complete detail of the system below. Who knows, maybe we’ll soon be making a place in our offices for some boards hung with Twist-N-Hook hangers. Do you have any cool uses for foamcore? Please share in the comments below. 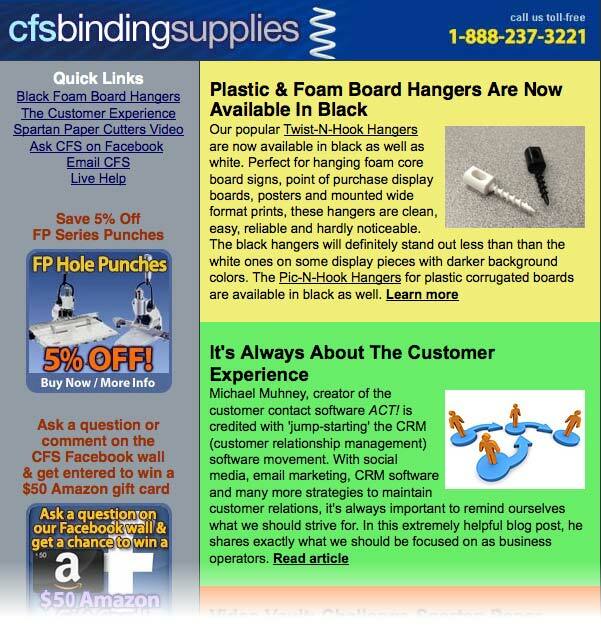 The first CFS newsletter of 2013 spotlights the popular foam core board and plastic core board hangers that are now available in black. As a value added reading suggestion for your business, we’ve added a link to a great article: It’s Always About The Customer Experience – by the creator of ACT! software. 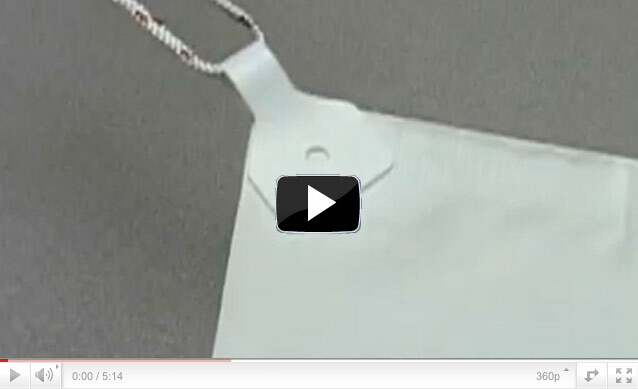 Digging into the video vault, we’ve pulled out the video overview of the Challenge Spartan Paper Cutter Series. Question Corner: Can I Get Board Hangers In Black? Q: Can I Get Foam Core Board Hangers In Black? A: Yes, the Twist-N-Hook Hangers are now available in black as well as white. A very popular product for hanging foam core board signs, point of purchase display boards, posters and mounted wide format prints, these hangers are a clean, easy and reliable method for hanging. The black hangers will definitely stand out less than than the white ones on some display pieces with darker background colors. 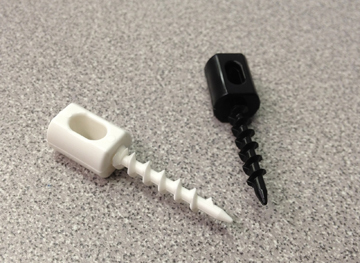 Additionally, the Pic-N-Hook Hangers for plastic corrugated boards are now available in black as well. Do you have any creative tips for hanging board-mounted prints? Please share them in the comments below.